FAMILY HISTORY. 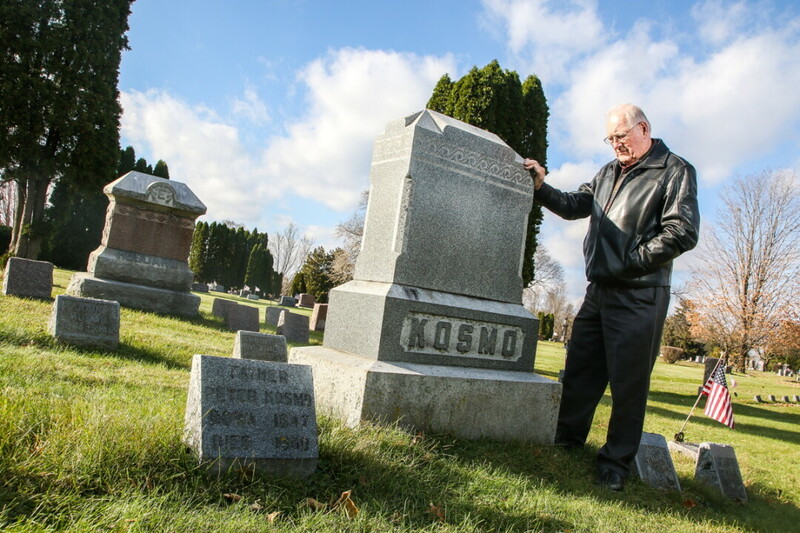 Author and Eau Claire native Jim Kosmo visits the family plot at the Northside Lutheran Cemetery on Omaha Street, a location featured in his new book, Monsters in the Hallway. 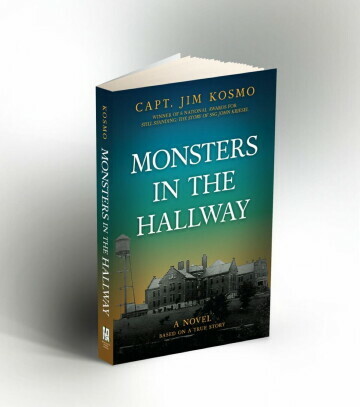 Monsters in the Hallway, released Oct. 27, is based on events from author Jim Kosmo’s childhood in Eau Claire in the 1950s and ’60s. The predominant storylines of his book open windows into his life, growing up with a father who suffered from schizophrenia. Kosmo also shares a vulnerable part of himself by telling the story of his own experience with sexual assault through one of his characters, 12-year-old Jason Korsen. Capt. Jim Kosmo (or just Jim) has a familiar chuckle with which he describes his service in the U.S. Air Force. During that time, he was an information specialist, which meant that he was the editor of the newspaper for Nellis Air Force Base in Nevada. After 20 years in journalism he decided to join the riverboat industry with his father-in-law. He served as president and captain with Padelford Riverboats Co. in St. Paul for 30 years. “She told me I was a great writer, but encouraged me to get a dictionary,” he said. “I guess I wasn’t a very good speller.” He took his teacher’s advice and bought a dictionary that he carried in his back pocket for years until it fell apart. As his words poured out, it became even clearer that he had to share this piece of his life. It wasn’t just for his own sense of freedom: He also hopes it will free others who’ve encountered similar demons in their lives. It was because of her, and caring role models such as Carl Lehman of the former Lehman Drug Store and Gerald Stange of the former Stange’s Corner Market, that Kosmo lives the life he has today. Kosmo will continue sharing his experience with mental illness in order to bring it into stronger focus, but that’s not all he has rolling around in his mind. He thinks if he were to write another book, he would tell stories about river boating. Learn more about Monsters in the Hallway at jimkosmo.com. The book is available online and at The Local Store, 205 N. Dewey St., Eau Claire.